The Aztec System is a new electric Combi Boiler series which has just been introduced by Trianco this year. The new boiler comes with a new and improved printed circuit board (PCB) and various other innovative features. The PCB helps the boilerto control the pump, auto air vent, expansion vessel and pressure gauge from one particular unit, but there is also a new digital interface which allows the user to control everything from an easy-to-use front panel. There is also an external temperature control adjustment which allows temperatures from 35 to 75 degrees. The elements are protected by dry fire and overheat monitoring and there is a diagnostic fault-finding feature which enables constant monitoring of the boilers performance. Since the Aztec system is an electric boiler, it does not require any additional plumbing or piping. This is because there is no need for a flue. This enables the boiler to perform at a high efficiency, specifically at around 99.8%. Electric boilers are closed units used for heating water. They have numerous advantages over gas and oil boilers in that they enable quick heating of water, can be easily installed, help to protect against water overheat or freezing and are very economic both in terms of heating and expense. Furthermore, electric boilers do not need to be serviced regularly but the Aztec Series is nevertheless covered by a 2 year warranty just in case. Spare parts are also easy to find and install. The Aztec Series is available with outputs ranging from 6 kW to 12 kW and is also compatible with solar power. If this output is not sufficient, electric boilers can be arranged in ‘banks’ in order to reach the desired output. The Aztec, as with other electric boilers, can be fitted in most places within a property as it is nice and compact. 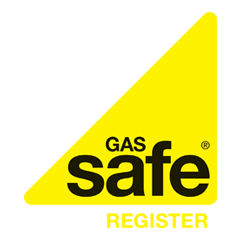 It is also suitable for properties without a mains gas supply.